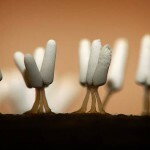 The author of these photographs, almost surreal – Kim Fleming (myriorama). 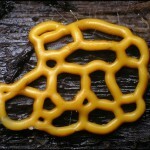 In fact, Slime molds are fascinating; and they live at the border between unicellular and multicellular. 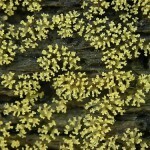 Neither animal or plant, some of the shots do look like alien landscapes. 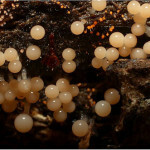 For most of their life, they live the life of a amoeboid single-cell. 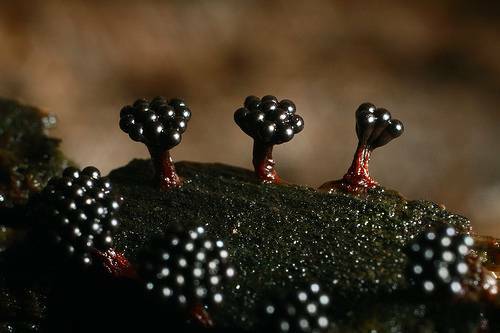 Then one of them decides it’s time to reproduce and sends out a signal to all the others in the area, which flow together into a vast heap. 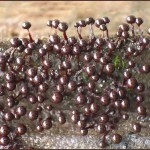 When enough have come together, they turn into a “slug”, which moves in a particular direction rather like the treads on a tank. 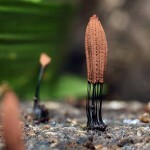 When the slug has reached a suitable spot, it then differentiates: some of the cells turn into a long stalk which lift the others, which turn into a spore pod, up out of the layer of laminar air near the ground into the turbulent air further up. 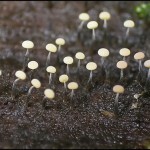 The fascinating thing is that these cells, which are originally identical and individual organisms, come together and undergo different fates. 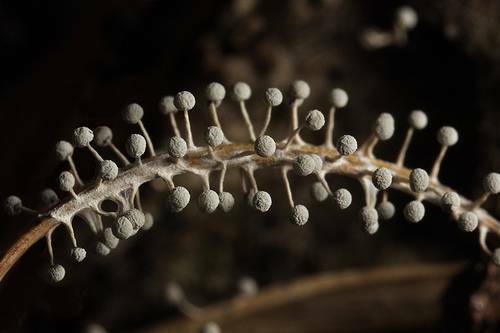 In particular, the ones which form the stalk never reproduce; they sacrifice themselves for the benefit of the ones which form the spore pod. 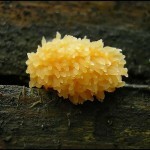 Slime Molds are not a part of the Animal kingdom or Plant kingdom but part of another. 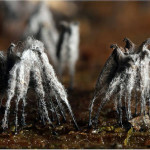 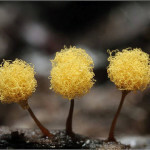 The wiki describes these alien creatures – “Slime mold or slime is a broad term describing some organisms that use spores to reproduce. 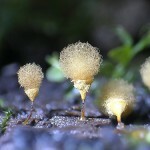 Slime molds were formerly classified as fungi but are no longer considered part of this kingdom. 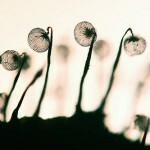 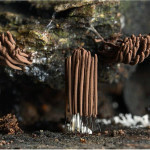 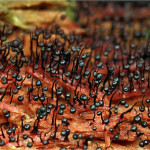 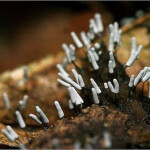 Found in a wide variety of colors, more than 900 species of slime mold occur all over the world. 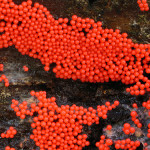 Their common name refers to part of some of these organisms’ life cycles where they can appear as gelatinous “slime”. 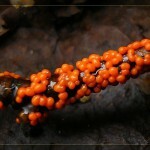 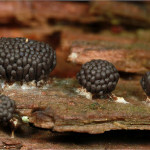 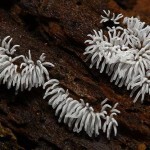 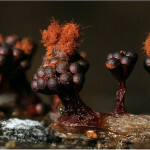 This is mostly seen with the myxogastria, which are the only macroscopic slime molds. 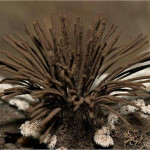 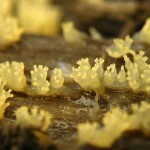 Most slime molds are smaller than a few centimeters, but some species may reach sizes of up to several square meters and masses of up to 30 grams.” Slime molds come in at least four kingdoms, and one is a bacterial kingdom. 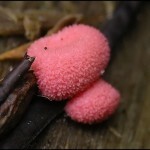 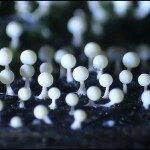 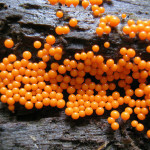 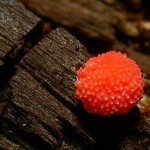 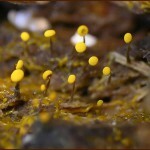 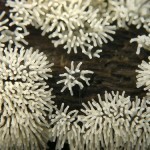 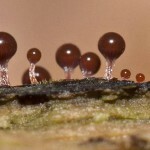 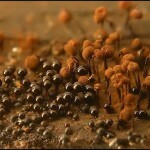 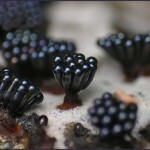 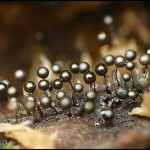 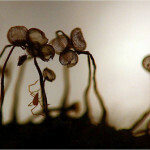 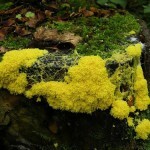 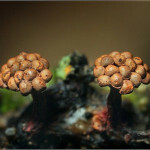 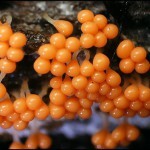 To learn more about slime molds search for the key words “slime” and “mold”. 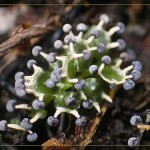 Wikipedia is a good place to start, but be sure to check out other sources.